Welcome to Haines Towing Inc. Thank you for visiting our site. Our company is family owned and operated and we have been providing quality service for over 75 years. 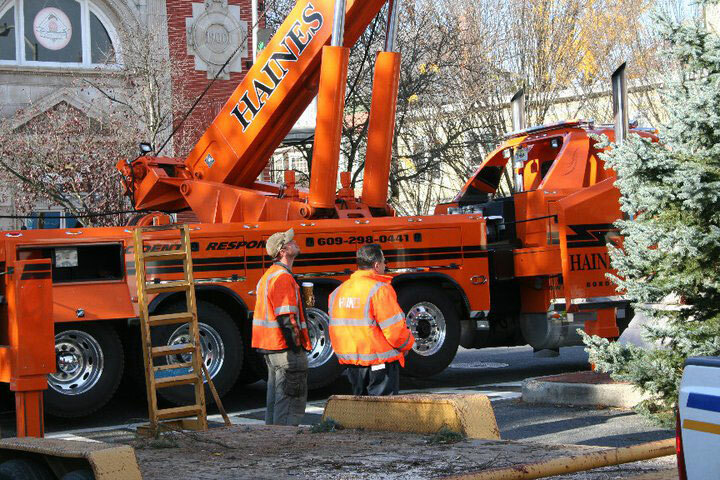 Whether it is a car tow, road service, heavy recovery or equipment transport, we can help you. Come on in and discover what our company can do for you. 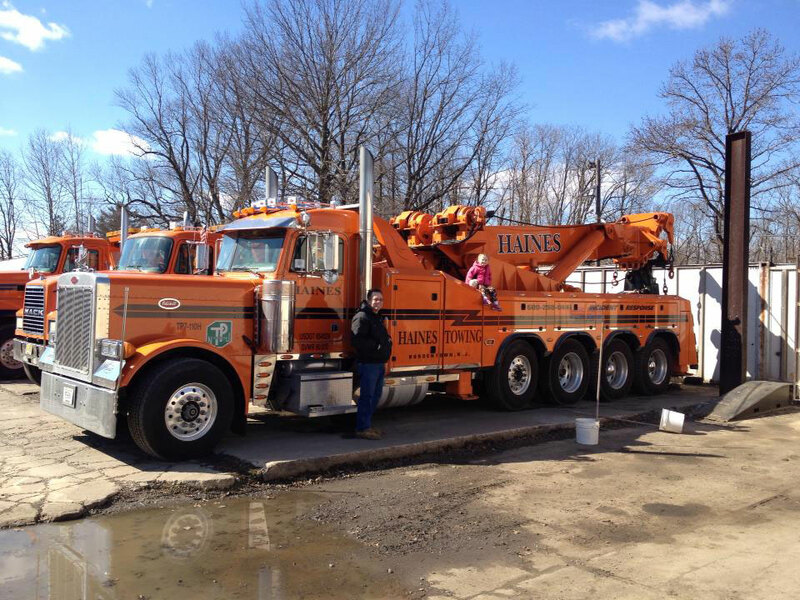 Areas We Service: Haines Towing primarily serves Central and South Jersey and Eastern Pennsylvania. This includes the New Jersey Turnpike, Interstates I-95, I-195 and I-295, along with the surrounding municipalities. We are also contracted with the State of New Jersey and the New Jersey State Police. 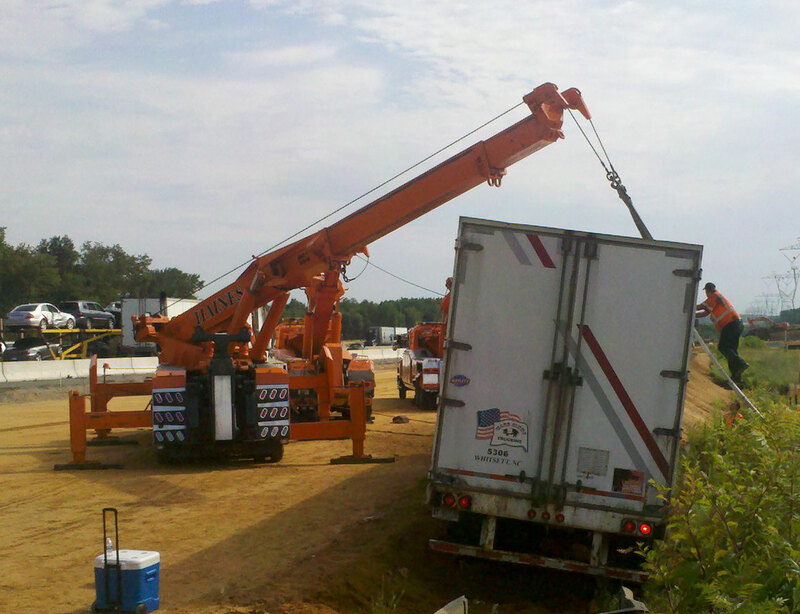 Our equipment includes several flatbeds, wheelifts and heavy duty underreaches. We have two truck road service vehicles and a multitude of specialized equipment such as forklifts, loaders, air cushions, trailers (box, landoll, low-boy), dollies and pallet jacks. We have state of the art recovery equipment including an 80+ ton Rotator and maintain a complete stock of fuel/ oil spill clean up supplies clean up supplies. We also provide crane service with a certified operator. In addition to our services, we have several hundred commercials accounts. This allows our clients to utilize our services with the utmost convenience. We are able to help you with any of your transportation needs. Just contact us to get a quote. We promise to provide dependable, quality service with fair pricing and quick response.